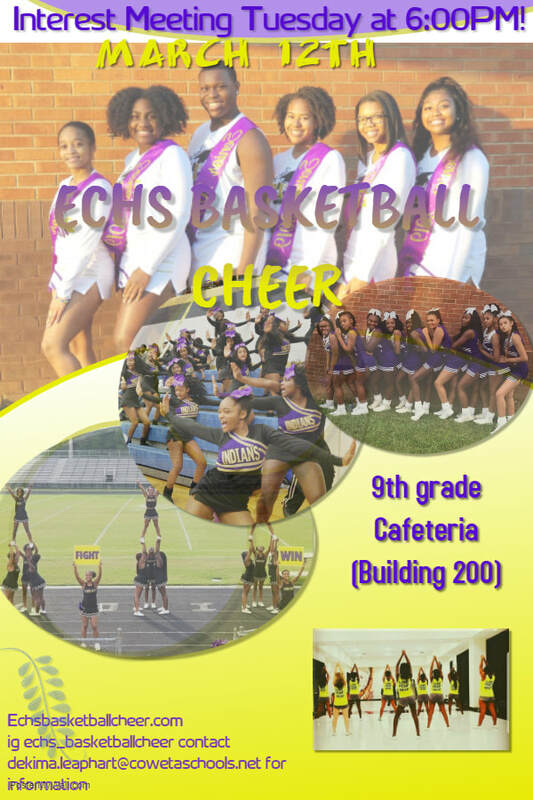 The ECHS Varsity Basketball Stomp and Shake Cheer is established for the 2016-2017 school year. Stomp and Shake is a non-traditional cheer form that combines cheer and dance into one AMAZING art form. Team members must be in great athletic shape, coordinated, loud, and have personal zeal! Stomp and Shake is characterized by High kicks, high knees, Strong powerful arm movements, Syncopated rhythms, Character, Flare, Precision, and Dance. Off season physical training is from May – August. Seasonkickoff practice/performance begins August-February. The team supports ECHS basketball teams at home AND away games. CONGRATULATIONS TO DEJAH JONES & JADORA JAMES FOR BEING NOMINATED As 2018 Georgia SPIRIT CHEERLEADERs OF THE YEAR!!!! !